Home / sweepstakes / sweepstakes super bowl 2018, hurry up! sweepstakes super bowl 2018, hurry up! This Holiday season, Wickles Pickles has spread some adventurous holiday cheer! 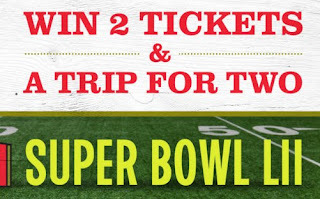 Simply follow the instructions to be entered for a chance to win tickets to Super Bowl and other Prizes!